Think it's impossible to retire in your 40s? I'd like you to meet some ordinary folks who have done it. “Ordinary” may be a misnomer, because retiring after just 20 years or so in the workplace is an extraordinary act, and most took extraordinary measures to get where they are. But they're ordinary in the sense that they were working people with pretty regular jobs. They didn't strike it rich with stock options, inheritances or the lottery. Their retirements look different from the retirements depicted on television. These folks don't live on the golf course or roam the country in 32-foot recreational vehicles. Most, in fact, are actually still working — but usually part time and in their own businesses, doing things they feel strongly about. They've retired from the 9-to-5 world, but not from their passions. In Retired by 50: What it really takes, Weston looks at Brad and Janine Bolon, who took the lessons of The Tightwad Gazette and Your Money or Your Life to heart. By being frugal, they made early retirement happen. “We saved $35 a month by hanging the laundry instead of using the dryer,” Janine said. “We didn't use our air conditioner more than six or seven days of the year,” an accomplishment in sunny Southern California. Though the family had a salary that many people dream about, they lived like Brad earned much less. After eight years of frugal living, the Bolons sold their home and moved to Utah. They could now live solely off investment income, but they continue to work. I love this story because it highlights a couple that focused on a dream, pursued it, and made it a reality. It might be easy to write off their success by saying, “Yeah, but if I made a quarter million per year, I could do that too.” I'm not so sure. First of all, it takes a lot of work to put yourself into a situation where you can earn that kind of money. Second, I think it shows tremendous restraint to live frugally when those around you do not. It's easiest to accumulate wealth when you minimize expenses and maximize income. Pulliam's second article, Retired by 50: Real-life stories, profiles three more couples who have achieved this dream. They reduced their grocery bill by making beans, rice and powdered milk staples of their meals. (Of course, they could also eat at the restaurants in the days they worked there, which helped liven up their diets.) They replaced their light bulbs with compact fluorescents to save energy — and this was back in the early 1990s, when that was unusual. They paid off their debt, including car loans, student loans and their home mortgage, to eliminate interest payments. They also kept meticulous records of their spending. For most of these couples, early retirement means partial retirement. Instead of leaving the workplace completely, they downshifted into jobs that are more meaningful, but for which they earn less. This supplemental income also means they don't have to draw heavily on their retirement savings. Early retirement has always been one of my goals. I used to dream of retiring at 35 and moving to a cabin in the woods. I'm 38 now, and though I don't have my cabin, I do have a good life. I still dream of early retirement. But now my dreams resemble the sorts of lives these couples lead. October 21st-27th is National Save for Retirement Week in the United States. There are 52 reader responses to "Early Retirement: Couples Who Made It Happen". I don’t get the early retirement dream. I go on vacation for a week, and I’m itching to get back to work. I like having work in my life; it gives me a feeling of accomplishment in my life. I always want to be working in some form (although I’ll save and invest so I have the choice to quit or cut back someday). Different strokes for different folks, I suppose. I totally dig it. To me, it’s much wiser to have the option of early retirement than not. Thats just fact. And if you don’t feel like retiring at the time, good for you! I like to work and suspect I’ll still be working well into my 70s if I’m still alive, but I fully intend to do this down-or-right-or-whatever shift once my house is paid off. It’s a new take on “retirement” and I’ve always been attracted to the idea. My father retired at 55 and basically did nothing for the following 20 years until he died; that kind of life has never interested me. J.D., I think these couples are doing the right thing. They are living their lives how they want to live them, and are not “trapped” in a job they don’t want to do, but have to maintain because they owe people money. I agree with the earlier comments as well. I think most people who “retire” at a young age will need something to do to keep them occupied. The difference is the couples in the article can choose what they want to do vs. working for the largest paycheck. To me, that is the best goal and greatest reward of early retirement. J.D, I think I might have mentioned this before. But if you’re interested in books on early retirement, you should check out a book by a Canadian named Derek Foster. This guy retired @ the age of 32 based on investment dividends. Typo, I meant to say he retired @ age 34. Agree with the comments semi-retirement. DH and I are trying to set up our lives so that we could live off our investment income (financial independence or FI from Your Money or Your Life). Then, instead of working so that soul-sucking corporations can make more money for shareholders, we can perform work that we think is important. The major concern for anyone seriously considering early retirement is health insurance. TosaJen just mentioned my big concern about “downshifting” by working for myself in a more relaxed environment or not working altogether. Health insurance is a big concern. How do the early retirees manage it? If I left my job, my health insurance would go from $0 per month to a rather hefty sum, I’m sure. I’m young and healthy (for now), but it can still be a great expense. Some friends of mine are well on their way to retiring before 50. They are such an inspiration. He decided in his early 20’s that he wanted to retire as soon as possible and has been living way below his means ever since. On their first date he told his future wife about this goal to retire early and that he refused to date spendthrifts. She is frugal as well so it is a great match and they have worked together to make it happen, even on one salary. He and his wife have such a rich hobby life that I can’t imagine they would be bored at all. Regarding health insurance, one option would be to set up a separate high-yield savings account and use the monthly interest to pay for all or most of your health insurance premiums. Depending on your premiums and your interest earning rate, you might have to save $100K or more in order to make that strategy work. One way to save on health insurance costs is to use a high deductible health insurance plan with an HSA account. This move is not for those just starting to save because it only works if you have adequate liquidity to fill in your deductible. You should also plan on health care inflation when you make this move. To retire before 50 years old has been one of my enduring goals. Why? Not because I think I’ll stop working, but because then I won’t have to. Taking less time for work means more time for my own personal ambitions. I do little things, like put money for short-term expenses and needs in high interest bearing accounts. I have a savings account for a car, completely funded, but I dont anticipate buying one for another 10 years. I don’t count interest that I earn anywhere as spendable cash. When I moved to the US, it was as an intern for 6 months. After that, my salary was doubled to have a “real” salary and I then thought I should try to save most of the raise, since I was able to live comfortably already with what I had. I did save some but not as much as I could, but this post motivates me to make an extra effort regarding savings. MDJ you beat me to the punch, I was just about to mention Derek Foster.as well. Excellent book. I really enjoyed the two articles when she wrote them, however I also found her follow up article to the two interesting (How early retirees insure their health). She discussed how they handled health insurance. My husband has a pre-existing condition, which makes it expensive to live without healthcare. Unlike most in the article he simply can’t just “buy” it due to his pre-existing. We are lucky to have healthcare through our jobs and even with it spend about $2500 out of pocket a year for him and as much through a FSA as possible. We when both got laid off, we spend $600 a month for the two of us for Cobra. We had no choice, if we dropped healthcare for him for a month he would be labeled: pre-existing condition, no continuous coverage and would have to pay full healthcare in some cases up to a year. Although early retirement is a great goal, for those that want to do it, don’t forget to figure in healthcare costs. They will become a reality. We do not have the option to simply “eat healthier” or do activities to stay healthy as the couples said in the follow up article. His pre-existing condition will not go away — he has had it since he was 4 (for the personal responsibility police out there). I have no desire to get on any healthcare political soapbox, I just want to make sure everyone is aware before you take that big leap, make sure you are covered. Even Rob Bennett from passionsaving.com admitted he didn’t factor in the cost of healthcare very well. Unfortunately, if you have preexisting conditions, or even if you have a significant health event, those health insurance premiums can be extremely expensive, even when they don’t cover much. And that’s if you can get coverage at all. In our case, DH is a diabetic smoker. I think it’s the element of the unknown that makes the medical insurance issue loom so large for us when we think about leaving full-time well-paid employment. I’m intrigued that for so many people retirement means working for yourself. I just don’t see that as retirement. It’s something, but not retirement. Although I sometimes have the desire to own my own business, then I remember all the hassle and expense that comes with working for yourself (my parents run their own business). So, it’s my dream to truly retire or if I want a little extra income, work for something else in a lower-stress job than my current one! Thanks for the post. That is almost exactly what I’m trying to do myself (put enough aside that I don’t have to earn an income). I’ve always like the term FIRE (financial independence and/or early retirement) to cover it all. I agree that the term retirement doesn’t really always apply to people who still make money, but don’t need to. I never plan to retire, because I enjoy my chosen profession. Maybe I’m crazy, but why the hell would you want to do something that wasn’t “meaningful” to you in the first place? I’m not questioning the need to save money, but how much better would your quality of life be if you were already doing what made you happy? I’m with Katie. I’m getting close to early retirement (no debt…working on savings toward the crossover point). It’s great that these folks want to continue working, but I’m certainly not in that group. I don’t dislike my work (I’m self-employed), but if I have the chance to stop, I’ll certainly choose something less stressful and interactive. These are certainly topics of interest to me. Great article and good comments! I am not making all that much right now (more then alot of my friends sure, but they are knee deep in debt, or selling their bodies to medical companies as guinea pigs), but I’m beginning early. At the same time, the only way to retire as early as these people do is to make the kind of money they do PLUS have the commitment. That being said, the earlier you start, with as much as you can, is just that much earlier you can do what you love. and to those of you asking why would you work a job you hate? 1) kids 2) health insurance 3) not everything people love is something they can be paid for, so they might want to work hard & early to get out and play. After 30 years I left the rat race, at 49 years old.I did have health insurance. Took some part time jobs for extra income. Had a frame for house built and I finished the rest. No house payments and anything I bought was cash. Now at 71 years old I do just what I feel like doing. We have 10 acres of land grow melons,corn, berries and large garden. Life is good enjoy if you can. I don’t see anything remarkable in these stories. I’m willing to bet a year’s income that I live more frugally than they do, and that if I had their income, I’d be wealthier than they. Let’s see some stories of REAL frugality. Shouldn’t there be balance in life. 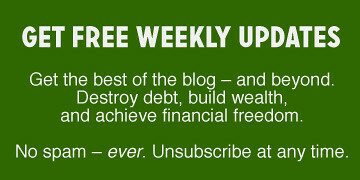 Frugality and financial independence is fine – but is that all there is in life. What about living life? I don’t quite understand this article. She says that these are just ordinary folk that “didn’t strike it rich with stock options, inheritances or the lottery”, but didn’t a lot of them get their money from cashing out their home equity at the top of a hyper inflated real estate market the likes of which the world has probably never seen and probably will never see again, and one that went against all semblance of logic and reason? How is that ordinary? To my mind, that is very much like winning the lottery. Its not like we can duplicate their success by being frugal and reading the tightwad gazette. Point taken, though, that retiring early can be done if you work for it. And I really like how these people are stretching the definition of ‘retirement’ — Very creative. If working for yourself means retirement, I guess I retired at 23. LOL. Seriously, though, some people earning $250k a year and achieving early retirement are hardly an example for the rest of the population. It’s the people who earn $60k or $100k a year in a pricey city with a family and who can still retire early that I admire. Early retirement, while a nice idea, is a bit of a pipe dream for me at the moment. I’m just focusing on paying down the debt and then saving anything for retirement. In a couple of years I’ll take stock again and see if the frugal lessons I’m learning now can help me to be able to not work full time, or at all when I’m older. I agree with everyone that you have to have some purpose in your life after you retire, at whatever age that is; whether that’s working part time doing something you love, volunteering, exploring hobbies, whatever. As to the healthcare issue, prices for insurance vary depending upon what state you live in. Also in some states there are organizations like The Freelancers Union (NY, NJ) where you can get group health care when you are self-employed. Most states also have various arts organizations and non-profits where if you pay a yearly membership fee you qualify for their group insurance rate. This often works out much cheaper than being self-insured. I am promoting a new asceticism in the hope that people will be prepared when the American financial house of cards collapses. You have more time to live that life when you’re free.. I think if I was able to “retire” at 35…I would have to do something else than just play golf and watch the price is right. Probably go do non-profit work part time, and travel part-time (If I retired **well**). Hmmm…30 would be even better! Want early retirement? Serve in the military for 20 years. You get a pension the rest of your life, health care is taken care of, and you even get neat perks like flying on a space available basis on military flights all over the world. Join up when you’re 18, make some smart choices, get your bachelor’s degree while you’re in the service, and you can use the GI Bill for grad school. Too late for you? Why not sell the idea to your kids? How do you know you will live tomorrow? I could live in a van down by the river and retire early…but I’m not gonna. Van down by the river…heehee. I would like to learn more about retirement for people who are a little more like average folks…average salaries, not on the edge of an incredible real estate bubble, etc. Because that’s just not the majority of us. I don’t make $250K. I make less than one-fifth of that, but I like my job well enough and it’s for a non-profit in public education, and that makes me a little happier to go to work. $250K and a house in California seem so far from my situation. I’m very empathetic to those with pre-existing conditions. My wife has epilepsy and is uninsurable for health insurance so she needs to stay on a group policy. Part of our plan is to have her retire as a teacher so the state picks up her health care for the rest of her life. This is probably worth more than the pension she’ll receive as we won’t have to pay for the group policy in my corporation. TosaJen: Instead of feeling like you work solely for the benefit of shareholders, who you seem to think are bestowed with money trees, why not become a shareholder yourself!? I see so much animosity in this country towards the faceless “shareholders”, and people seem to forget that they are 1 stock away from joining that group! From my perspective, it’s light years away. Sure some people get some lucky breaks but try to remember that “hind sight is 20/20” so it’s a lot easier to look at someone’s situation today and criticize their past. But I bet when these people first bought a home they felt they were taking just as big a risk as someone who buys now. We shouldn’t look down on their success just because they were successful. The key we should take from this is to start taking steps towards your retirement and put yourself in the path of luck. I agree with Andrea. 250k, yea that would be nice. We are talking about the top 5% of the population. When you are below 100k, kids and single income, that is more like it. Yeah, if step one in your retirement guide is “get paid $250,000 per year” I don’t really need to read the other steps. Whatever they’ve done is flat out not possible for me. When I read about people who earn less than me who are able to retire early, I’m interested. Obviously they’re doing things I could be doing and the sacrifices they’re making could pay off for me if I made similar sacrifices. Someone earning $250K might as well just ghost-write a book about how Paris Hilton was able to retire at age 0 for all it applies to the rest of us. My husband and I reached financial freedom early (at age 40). We’ve struggled with the word “retirement”, too, and would love to find another word. I often say that “we no longer need to work”. We are still productive and we still make money… but now we have the luxury of doing less “work”, without the focus on income. We can “work” for a purpose or to give to charity. And, of course, we have more time to follow our personal interests and dreams. Ironically, as we pursue our interests, opportunities for even more money presents itself! My husband and I are doing the military gig. :-) It helps that we both love our chosen professions, and that we’ll both get half-pay and healthcare once we hit our 20 years. (My husband will be 42, and I’ll be 46.) After that, we’re not sure what we’re going to do. I’d like to do something so cobwebs don’t grow on me, and my husband is considering the priesthood, so it’ll be interesting no matter what. Oh, and Minimum Wage? I’ve seen you on a couple of blogs, doing nothing but complaining about how what’s written doesn’t apply to you. If you find so little of use on other PF blogs, why don’t you saddle up and write your own, with tips and strategies you find useful for someone in your situation? It seems to be rather different from a lot of us, and I, for one, am not particularly inclined to feel terribly guilty that I can use investing tips or ways to become a shareholder when there are others who aren’t in that position. It would appear that a lot of GRS readers are in positions where his blog posts are useful to us. How do you spend $35 on drying laundry per month alone? I’m lucky if I do laundry once a month, and it costs $1.50 to dry. Steve S: I AM a shareholder, including of my current employer’s stock, as well as hundreds of others. Should that make my current job more satisfying and worthwhile to humanity? It doesn’t. Kevin: Is your point supposed to make me want to set up my life so that I need to continue my current job? If you want to argue about whether shareholders are evil or not, you’re barking up the wrong tree (same tree as Steve S, as it happens). I’ve thought about the issue of living off the profits of the hard work of others. I’ve been working (hard) for 20 years so far. I figure that 30-35 years will be long enough for me. If possible, I’ll let someone else hold the soul-sucking job for a while as I move on to working for less in something that “loves me back”. Hopefully, at some point, the workers supporting me will figure out how to save enough money to move on, too. And so forth. honeybee, you must not have kids. Tons of laundry. Tons, I say. We need the dryer less since we got a front-loading washer, but yep, we still do a LOT of laundry. Airdrying isn’t a viable option most of the year in drizzly Seattle, either. While I’m writing–yeah, I’d like if my retirement strategy included a $250K/year salary. Ain’t gonna happen. But, I did think it was cool in that story that they resisted the pressure of lifestyle inflation–that I can relate to. f you find so little of use on other PF blogs, why don’t you saddle up and write your own, with tips and strategies you find useful for someone in your situation? Actually, I’m working on some ideas, and a PF blogger has kindly offered some help getting a blog online (a real one, not a “blogspot” blog). I’m also thinking that every newspaper seems to have one or more PF writers, maybe I could become a PF critic. One of the people in Pulliam’s article is Rob Bennett. She should chose her subjects a bit more carefully, if they are meant to be positive examples. If this site (link) is to be believed, it would appear Rob is not so much retired, as living off a dwindling nest-egg, and scrambling to become an author, while receiving the one-time windfall of an inheritance to prop him up. Not exactly a story to emulate, IMHO. The true purpose of going to work every morning is not for financial gain; instead it is to challenge us, to make us better people, *and*, to share our knowledge with others. Growing up I worked for a deli where one of the owners retired at 58. He made millions from the business, so he traveled for a few years, but then got so bored sitting at home that he took up a full-time job running a local supermarket’s deli. Again, the purpose of work is not to become rich. The purpose of work is to help us lead a fuller life by learning more about ourselves, others, and the world. Thats right because if you’re looking to become rich through after tax wages then.. maybe it’s best to start looking elsewhere me thinks.. I agree with what you’re saying, although I disagree with the principal. Most people say they want to work because they have no option of anything else. They simply HAVE to keep working to pay their bad debts. There is no other choice for them that does not include great sacrifice and or risk. If you cannot think of anything to do with your life other than hold a job then you’re conditioned to work and do not have a very good imagination in my opinion. Or, you simply do not have enough money to do the things you want. If it were me I’d rather start my own business, why work at a job? I don’t need the money so who cares if it fails! I’d rather work on my farm and redo the 20 acres of wonderful gardens. That takes more time than a 9-5 job and is much more self satisfying. I don’t believe these people in entirety. Theres a good article I remember well by an associate of mine who retirered in his early 30’s entitled ‘Would you pay $2M for an extra 10 years of your life?’ Upon reading the article he explained, using all his investments and dividends he retired and spent only a small percentage of his wealth and left the rest to compound so he was always earning more than what he spent in any given year. At the end of the 10 years his wealth had skyrocketed and he’d done all the things he’s always wanted to do in life, althouhgh he forfeighted earning $2M from his full time job he would have earned over the 10 years if he had not made the decision he did. He’s glad he made the decision and had the backup plan that he was always willing to return to work if things didn’t work out. He was still in a good position after 10 years though and the plan worked fine. If you perhaps do not have this type of funds arrangement and would lose money as you spend it then this simply would not be an option for you. To me, this epitomises early retirement and gives it meaning and purpose. It’s a gift that only a slight few of us will ever have the privelige of, the rest of us find it difficult to even imagine. It’s much easier to say: I like my job and keep working aimlessly until you end up with a pension of $227 per fortnight. Thats my 2 cents anyway and it’s always been my dream that is slowly becoming flesh.